Billionaire and BRW Rich Lister Sam Tarascio has has cut the the maximum height of apartment buildings within a controversial Preston Market redevelopment in Melbourne's north, according to The Age. After twice trying to have the land rezoned to allow for towers rising 28 storeys, the Salta Properties founder, who until recently only built commercial assets, has applied to construct three residential buildings, rising nine, ten and 14 levels, on car park land off Murray Road, abutting the Preston train station, according to The Age. The proposed buildings will include a total of 300 apartments atop eight retail tenancies ranging between 45 square metres and 495 square metres, and an underground car park. 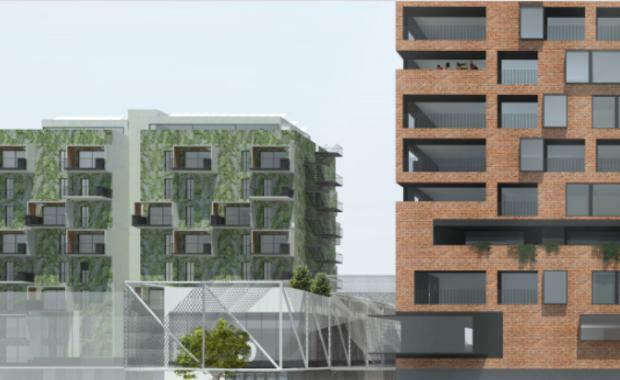 A resident-only communal garden of about 1000 square metres will be developed between the two larger buildings, as will rooftop gardens, a basketball court and shared barbecue and dining spaces. The property known as Preston Market comprises an established retail market which has been trading on the site since the late 1950s/early 1960s. The improvements have been developed at various stages since this time with more recently Aldi supermarket having been developed on the Cramer Street frontage of the site in 2003 and a freestanding two level office building at 251 Murray Road developed in 2009 for Centrelink. The City of Darebin council is expected to exhibit the next stage of the market's redevelopment within weeks. Its planning authorities have rejected contentious plans to, among other things, exempt the site from a zoning allowing a maximum 10-level building height. Preston Market - at 43,022 sqm - is the second largest market in Melbourne selling fresh produce, clothing and homewares with a variety of restaurants and food stalls; it attracts over 80,000 visitors per week.